THE BEADY EYE SAY’S YIPE WE NOW HAVE A CAR IS SPACE. We now have a car in space at a cost of $90 million. That’s $639.80 per pound thanks to Elon Musk’s Falcon Heavy SpaceX rocket. The next most powerful rocket, the Delta IV Heavy, runs about $350 million per launch. It boasts 27 engines, more than any other working rocket has ever used, which together create a combined 5 million pounds of thrust at liftoff. 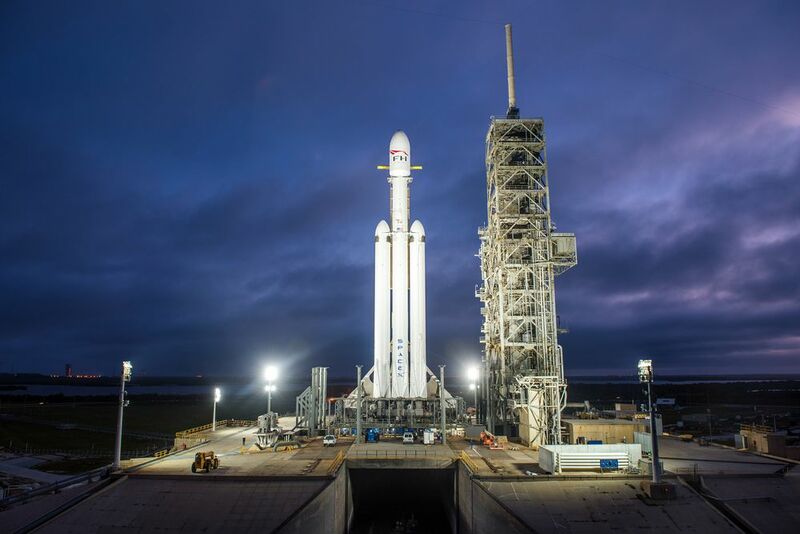 Falcon Heavy is capable of taking 68 tonnes of equipment into an orbit close to the Earth. With a world in turmoil, the new age space race is upon us. Next, we need traffic lights. Space debris is rapidly becoming one of the biggest problems we face – there are more than 150m objects that need tracking to ensure as few collisions with working spacecraft as possible. The amount of kerosene in three Falcon 9 rockets is roughly 440 tonnes and RP-1 has a 34% carbon content, which is a lot of carbon dioxide when burnt. However this amount of carbon is a drop in the ocean compared to global industrial emissions as a whole, but if the SpaceX’s plan for a rocket launch every two weeks comes to fruition, this amount of carbon (approximately 4,000 tonnes per year) will rapidly become a bigger problem. For the 1967 Apollo mission to the moon, Saturn V rocket’s first stage carried 203,400 gallons of kerosene fuel and 318,000 gallons of liquid oxygen, totaling over 500,000 gallons of fuel for getting out of the atmosphere alone. The second stage carried another 260,000 gallons of liquid hydrogen and 80,000 gallons of liquid oxygen. The third stage carries 66,700 gallons of liquid hydrogen and 19,359 gallons of liquid oxygen. All told the rocket that achieved one small step for a man and one giant leap for mankind held just under 950,000 gallons of fuel. Falcon 9’s first stage uses 39,000 gallons of liquid oxygen and almost 25,000 gallons of kerosene, while the second stage uses 7,300 gallons of liquid oxygen and 4,600 gallons of kerosene. Combined, it makes lean mean 75,900 gallons of fuel. The Saturn V’s first stage lasted 180 seconds So. The first stage consumed 1,400,000 pounds of RP-1 and 3,178,000 pounds of LOX. That’s 4,578,000 pounds of the expanded chemical in total. The mass of most rockets is more than 95% fuel. Perhaps it might have been better putting his energy and all that energy into something with a bit more imagination.